On the eve of Tabor family patriarch Harry receiving a lifetime achievement award for his contributions to the plight of refugees, each member of his family faces a crisis of conscience and none greater than Harry’s. Dysfunctional family drama set over a single weekend. From Bookpage’s list of 11 Women to Watch in 2018. 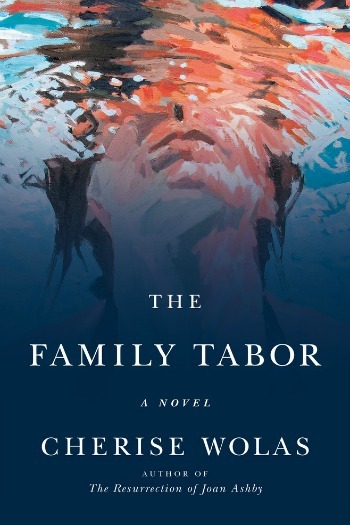 The Tabor Family – Despite their many, many flaws I liked this family, a group of people who actually loved and respected each other very much. The three Tabor children, Phoebe, Camille, and Simon thought the world of both their parents and in a sea of dysfunctional families, their unity was refreshing. Parents Harry and Roma were still in love after more than forty years of marriage, adding brightness to a sometimes dark story. Layering On of Problems – Cherise Wolas brilliantly chose to introduce her five main characters and their budding crises one at a time. We first meet Harry on the eve of being named Palm Springs Man of the Decade. He’s being recognized for his 30 years of bringing both Jewish and non-Jewish refugees to the United States to start new lives. Yet, on the brink of this amazing honor, Harry begins to be haunted by a crisis of conscience. Roma, a child psychologist, worries about her young patients, her own children and most of all Harry. She’s wondering if trusts she’s long held might be misplaced. Phoebe, their eldest child has great success running her own prestigious law firm, but love continues to elude Phoebe. She’s taken action on that, desperate action. Camille, their middle child, earned her PhD in social anthropology nearly a year earlier, and has barely been able to leave her apartment since. Simon, their youngest, seems to have it all: a successful law career, a beautiful wife, and two darling daughters. Yet, Simon feels the pull toward something more, something basic, a part of life he’d long abandoned. With each new Tabor Wolas presented I found myself more and more invested in their stories. I wanted to know what would happen to everyone in this family. Crisis of Faith – Both sides of the Tabor family had a rich history of remarkable Jews who had suffered, survived, and prospered, laying foundations for the generations that followed. With the passing of years, the strict adherence to Jewish traditions had waned until the children of Harry and Roma did little more than go through the motions. For a long time, the Tabors were comfortable with their culture, their limited practice and their relationship with God, but in rapid succession Harry, Roma and Simon each look to the generations before them and find themselves wanting. Their struggles with faith were at the heart of The Family Tabor. Writing (the good) – Wolas’s writing about raw emotions and unsettled feelings left me in awe. She brought pain and joy to life in a way that made her characters relatable to all the rest of us who find ourselves flawed. Writing (the bad) – At times I found the writing to be pretentious. Wolas could have simplified some of her wording. There were already many phrases and ideas having to do with Jewish culture that were unfamiliar, so the use of so many other complex words became a little annoying. A Forgotten Past – Central to the storyline is a long buried event in Harry’s past. Wolas tried to explain how Harry and Roma could have obliterated this from their minds, but I still found myself doubting over and over. For me this was THE flaw in The Family Tabor. Note: I received a copy of this book from Flatiron Books (via NetGalley) in exchange for my honest review. Many thanks to them both. Wow! A-! I still don’t think I feel like picking it back up. It just started so pretentiously and I remember being angry at Joan Ashby when I finished it and wishing I’d DNF’d even though the beginnnig was great. I think you’re feeling is right. This seems like one of those books that works for me, but that you wouldn’t really care for. Great review as always! I’m not sure if this one’s meant for me but I like that you were able to give it an A- despite a few things I think would bother me as well. I really don’t think this book will be for everybody, but for whatever reason it really resonated with me. Nice review. I’m intrigued and will look for it — I haven’t tried this author yet. I like the setting of Palm Springs — which is not far from where I grew up. At 400 pages, how was the pace? I thought the pace was really quick. The focus shifted from character to character, so that moved the book along nicely. I’m at page 300 and about to either 1) throw up; 2) throw the book against the wall; 3) just give up. Or all of the above. This mess needs a much better editor than it had. And “The Family Tabor?” How pretentious. I’ll probably finish because I have so much invested but I’m into skim mode now.